Short Term Courses after BCom in India to Get a Professional Job easily. What will you do after completing your BCom? You may have thought of going for higher studies. May be you will even want to go for a job. But you know there are some short term courses after BCom in India? Now, why should you do a short term course? Will they be related to Commerce and Marketing? What are those courses? Let us see the answers for these questions. On the other hand, by now you will be familiar with marketing, financial and principles of commerce. But you can still think of broadening your marketing capabilities by learning courses related to Digital Marketing. Such learning of small certificate courses after graduation will open lot of job opportunities for you. Don’t forget, Digital Marketing will be the trend of the future. And as of now, it is ruling the market space. There is a transformation to digital from traditional marketing trends in India. The world of commerce is becoming highly digitized. Moreover, you have a lot of backup from India’s, “Digital India” policy. Correspondingly, Digital Marketing is all about being global. Many institutions are coming up with Digital Marketing courses. Significantly, small towns in India are getting equipped digitally. Furthermore, you have a high customer engagement rate. Moreover, internet users are increasing. Moreover, the revenue generated from digital classifieds is going to increase in the coming years. The above factors reiterate the fact that after doing short term marketing courses after a degree in commerce will fetch you a decent job. Undoubtedly, these courses are also professional courses. Significantly, you won’t get the practical marketing training that you get here from colleges and universities. Now let us quickly see what each course offers for commerce graduates. Therefore it is compulsory for you learn SEO after your graduation degree. This will help you survive in the online market competition. Pay-Per-Click (PPC) is an online advertising model where advertisers pay each time a user clicks on one of their online ads. And of course it is a technique most wish to learn among the short term courses after BCom in India. Significantly, PPC is a way of buying visits to your site. To manage the PPC campaigns. Create valuable email content that will be relevant to each customers etc. This is where you promote and even sell other people’s goods and services and earn a commission for every sale. It sounds interesting! Furthermore, how to track your Advertiser and Publisher Networks. Analytics is the key driving factor of Digital Marketing. 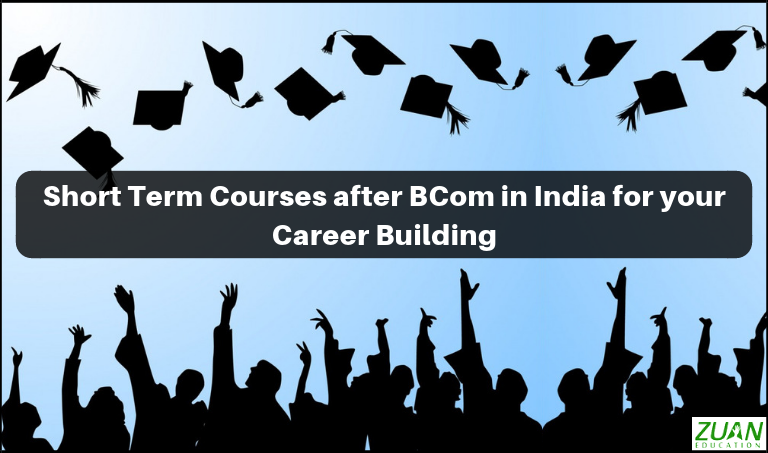 Therefore, it holds a prominent place among the short term courses after BCom in India. Friends, pick from any one of these courses and call from your mobile phone to professional institutes that offer these courses. There are also many other diploma courses you can do before becoming post graduates. Like you can do courses in accounting and taxation. There are also courses for exclusive accounting concepts and courses related to financial analyst and financial planning. Maybe you will want to do Chartered accountancy. All these courses will improve your financial dealing skills like coming up with good financial statements and auditing for companies. But don’t forget what I said in the beginning of the article. Doing any one of the above Digital Marketing courses will take only 1-2 months. Moreover the course fees is very affordable. You will gain lot of skill-based training in the institutions offering these courses. And you will get a job-oriented industry certificate in 1-2 months. Furthermore, hiring chances will be high by having these short term course certificates.